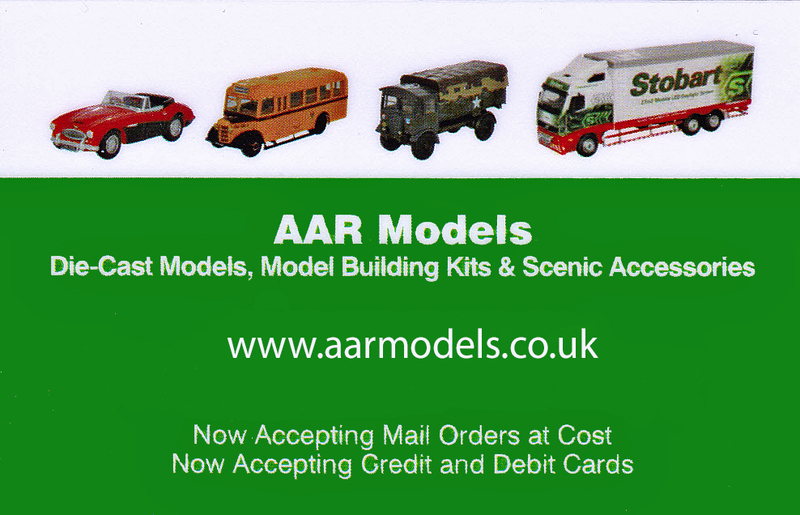 .AAR Models regret to announce that, due to deteriorating health, we are having to wind down our attendance at shows this year in favour of trading on-line via this website. Finally, we would like to thank all of our customers and those who have helped us during the past 22 years for their support. Andy and Ryan look forward to seeing you at the remaining shows that they will be attending this year and at future exhibitions where they will be running their layouts.